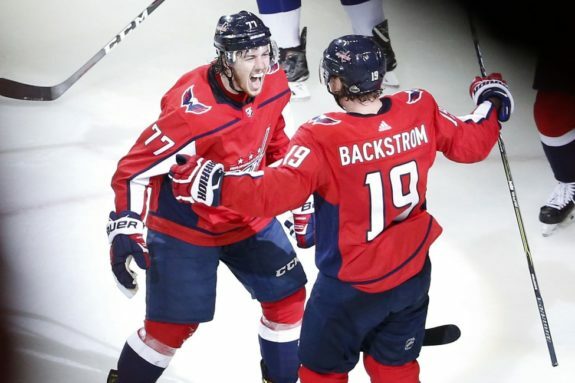 The Washington Capitals went 14-5-1 down the stretch of the 2018-19 NHL regular season to put a bow on their fourth straight Metropolitan Division title, and finished just one point shy of last year’s total of 105 points in the standings. Meanwhile, captain Alexander Ovechkin claimed his second straight and sixth Maurice “Rocket” Richard Trophy in seven seasons with a league-high 51 goals. So, all seems right for another deep run into the playoffs and a chance to become only the second team since the Detroit Red Wings in 1998 to achieve back-to-back victories as Stanley Cup Champions, right? Well, no, not necessarily – it’s a bit more complicated than that. Things like their regular season head-to-head records against potential late-round opponents, nagging defensive-zone concerns and average-at-best goaltending are certainly all pain points may contribute to an all-too-familiar Capitals playoff letdown. But it’s two key areas of their game that will ultimately be their salvation in their bid to clinch a second-straight title, or the things that dog them in another disappointing end to a promising campaign. Let’s be brutally honest here. If the Capitals’ special teams play in the playoffs is anything like it was during the regular season, they’re going to have a bad time. 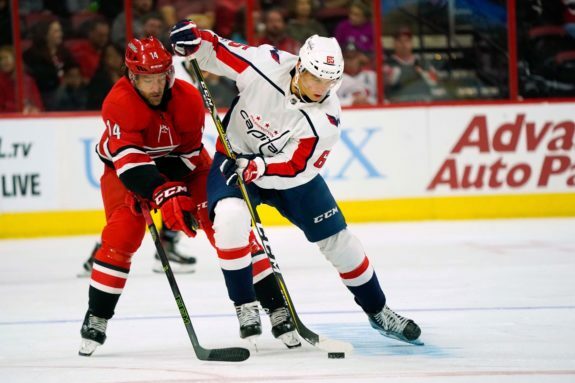 By the end of Game 82 of the Caps’ 2018-19 regular season campaign, their power play efficiency sat at 20.8 percent, good for only fifth among Eastern Conference teams who qualified for the postseason and their lowest numbers in the category since 2011-12. And it doesn’t get any better from there. 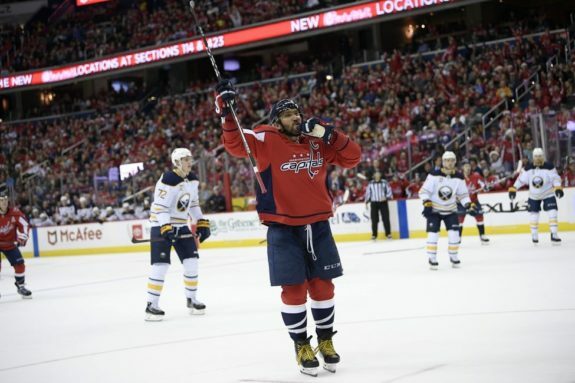 “Washington’s penalty kill, too, was a question mark heading into the postseason” (from ‘Capitals’ Questioned Penalty Kill Comes up big in Game 1′, The Washington Times – 4/12/2019). When down a man this season, the Capitals killed off just 78.9 percent of their opponents’ power play opportunities, a mark coming in at 24th-best in the league and dead last among Eastern Conference playoff teams. In a hyper-tight playoff setting where even-strength scoring opportunities are typically fewer and further between when compared to the regular season, a weak offering in the special teams department is a glaring issue that needs to be addressed. For Washington optimists, though, there is a bit of good news. In last year’s drive to the title, the Caps inflated their power play percentage nearly seven percent during the playoffs over their regular season mark of 22.5 percent. And while Game 1 against the Hurricanes is just a small sample size of this year’s postseason campaign, a 2-for-4 outing on the power play against a fourth-ranked-in-the-East Carolina penalty kill, while holding the ‘Canes off the scoreboard in their three man-advantage situations, is certainly a good start. If the Capitals can maintain this positive special teams momentum through the playoffs, they’ll put themselves in the best possible position to make a run at another Cup. Alexander Ovechkin’s Rocket Richard Trophy-winning 51 regular season goals made up nearly 20 percent of the Capitals’ entire offense during the regular season. As the most prolific active goal-scorer in the league today, that means playoff opponents will pay special mind to him in their defensive zone. Yes, in all likelihood he’ll keep scoring at a decent clip as long as the Capitals remain in the playoffs, but there’s a good chance it won’t be at his normal pace, and you can’t rely on one man to produce a full fifth of your offensive output or you risk an early postseason exit. It should be mildly concerning that no other Capitals player reached even half of Ovechkin’s total goals output. And as far as overall points, centerman T.J. Oshie, the next highest point-getter on the team, finished a whopping 35 points behind Ovi during the regular season with 54. With a record of 21-18-6 during the regular season when Ovechkin doesn’t score a goal, three more notches in the “L” column doesn’t bode too well right now. Worse still, when Ovechkin was held completely off the scoresheet during the regular season, the Caps went a subpar 8-12-3. Obviously, the 33-year-old Russian scoring machine is an enormous part of the Capitals’ offense, but they’ll need to do their due diligence to activate guys like Oshie, Nicklas Backstrom and Evgeny Kuznetsov in key areas of their game so that they don’t need to rely quite so heavily on one man’s talent. In the 2018 playoffs, the Caps heeded that exact advice, and Kuznetsov ended up leading the team with 32 points – five more than Ovechkin – while Backstrom wasn’t far behind with 23 points in 20 playoff games en route to the franchise’s first-ever title. In last Thursday’s admittedly unpretty victory over the Hurricanes, seven different Caps players still managed to appear on the scoresheet, and two registered multiple points. Meanwhile, Ovechkin was held to just a single goal and two shots on net, proving that a diversified offense not wholly dependent on Ovechkin can do wonders for their chances at championship No. 2 this year.